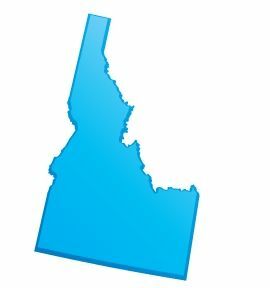 The provisions of the Idaho statutes that permit the filing of mechanics liens and materialmen's liens can be found in Idaho's Property Lien Law, Idaho Code § 45-501 et. seq. The full text of the Idaho Mechanics and Materialmen Lien Law is provided below, and has been updated as of 2011. To see a quick synopsis of the most important provisions, take a look at our Idaho Frequently Asked Questions page. > Every person performing labor upon, or furnishing materials to be used in the construction, alteration or repair of any mining claim, building, wharf, bridge, ditch, dike, flume, tunnel, fence, machinery, railroad, wagon road, aqueduct to create hydraulic power, or any other structure, or who grades, fills in, levels, surfaces or otherwise improves any land, or who performs labor in any mine or mining claim, and every professional engineer or licensed surveyor under contract who prepares or furnishes designs, plans, plats, maps, specifications, drawings, surveys, estimates of cost, on-site observation or supervision, or who renders any other professional service whatsoever for which he is legally authorized to perform in connection with any land or building development or improvement, or to establish boundaries, has a lien upon the same for the work or labor done or professional services or materials furnished, whether done or furnished at the instance of the owner of the building or other improvement or his agent; and every contractor, subcontractor, architect, builder or any person having charge of any mining claim, or of the construction, alteration or repair, either in whole or in part, of any building or other improvement, as aforesaid, shall be held to be the agent of the owner for the purpose of this chapter: provided, that the lessee or lessees of any mining claim shall not be considered as the agent or agents of the owner under the provisions of this chapter. For purposes of this chapter the term “furnishing material” shall also include, notwithstanding any other provision of law to the contrary, supplying, renting or leasing equipment, materials or fixtures as defined in section 28-12-309, Idaho Code. “Furnishing material” shall also include renting, leasing or otherwise supplying any equipment, materials, fixtures or machinery to any mine or mining claim. Any person who, at the request of the owner of any lot in any incorporated city or town, surveys, grades, fills in, or otherwise improves the same, or who rents, leases or otherwise supplies equipment, materials or fixtures as defined in section 28-12-309, Idaho Code, to such person for the improvement of any lot, or the street in front of or adjoining the same, has a lien upon such lot for his work done or material furnished or equipment, materials or fixtures as defined in section 28-12-309, Idaho Code, rented, leased or otherwise supplied. The land upon which or in connection with which any professional services are performed or any building, improvement or structure is constructed, together with a convenient space about the same, or so much as may be required for the convenient use and occupation thereof, to be determined by the court on rendering judgment, is also subject to the lien, if, at the commencement of the furnishing of professional services or other work, the furnishing of the material, or the renting, leasing or otherwise supplying of equipment, materials or fixtures as defined in section 28-12-309, Idaho Code, for the same, the land belonged to the person who caused said professional services to be performed or said building, improvement or structure to be constructed, altered or repaired, or such person was acting as the agent of the owner, but if such person owns less than a fee simple estate in such land, then only the interest of the person or persons causing the services or improvement therein is subject to such lien. The liens provided for in this chapter shall be on equal footing with those liens within the same class of liens, without reference to the date of the filing of the lien claim or claims and are preferred to any lien, mortgage or other encumbrance, which may have attached subsequent to the time when the building, improvement or structure was commenced, work done, equipment, materials or fixtures were rented or leased, or materials or professional services were commenced to be furnished; also to any lien, mortgage, or other encumbrance of which the lienholder had no notice, and which was unrecorded at the time the building, improvement or structure was commenced, work done, equipment, materials or fixtures were rented or leased, or materials or professional services were commenced to be furnished. (1) Any person claiming a lien pursuant to the provisions of this chapter must file a claim for record with the county recorder for the county in which such property or some part thereof is situated. (2) The claim shall be filed within ninety (90) days after the completion of the labor or services, or furnishing of materials. (d) A description of the property to be charged with the lien, sufficient for identification. (4) Such claim must be verified by the oath of the claimant, his agent or attorney, to the effect that the affiant believes the same to be just. (5) A true and correct copy of the claim of lien shall be served on the owner or reputed owner of the property either by delivering a copy thereof to the owner or reputed owner personally or by mailing a copy thereof by certified mail to the owner or reputed owner at his last known address. Such delivery or mailing shall be made no later than five (5) business days following the filing of said claim of lien. In every case in which one (1) claim is filed against two (2) or more buildings, mines, mining claims, or other improvements, owned by the same person, the person filing such claim must, at the same time, designate the amount due him on each of said buildings, mines, mining claims, or other improvement; otherwise the lien of such claim is postponed to other liens. The lien of such claim does not extend beyond the amount designated as against other creditors having liens by judgment, mortgage, or otherwise, upon either of such buildings, or other improvements, or upon the land upon which the same are situated. The county recorder must record the claims mentioned in this chapter in a book kept by him for that purpose, which record must be indexed, as deeds and other conveyances are required by law to be indexed, and for which he may receive the same fees as are allowed by law for recording deeds or other instruments. No lien provided for in this chapter binds any building, mining claim, improvement or structure for a longer period than six (6) months after the claim has been filed, unless proceedings be commenced in a proper court within that time to enforce such lien; or unless a payment on account is made, or extension of credit given with expiration date thereof, and such payment or credit and expiration date, is endorsed on the record of the lien, then six (6) months after the date of such payment or expiration of extension. The lien of a final judgment obtained on any lien provided for in this chapter shall cease five (5) years from the date the judgment becomes final, but if such period of five (5) years has expired or will expire before September 1, 1947, the owner of such judgment lien shall have until September 1, 1947, within which to levy execution under such judgment. The original or subcontractor shall be entitled to recover, upon the claim filed by him, only such amount as may be due to him according to the terms of his contract, and, if applicable, such other amounts as may be found due to the lien claimant by the court pursuant to section 45-522, Idaho Code, after deducting all claims of other parties for work done and materials furnished to him as aforesaid, of which claim of lien shall have been filed as required by this chapter, and in all cases where a claim shall be filed under this chapter for work done or materials furnished to any subcontractor, he shall defend any action brought thereupon at his own expense; and during the pendency of such action, the person indebted to the contractor may withhold from such contractor the amount of money for which claim is filed; and in case of judgment upon the lien, the person indebted in the contract shall be entitled to deduct from any amount due or to become due by him to such contractor, the amount of such judgment and costs; and if the amount of such judgment and costs shall exceed the amount due from him to such contractor, if the person indebted in the contract shall have settled with such contractor in full, he shall be entitled to recover back from such contractor any amount so paid by him in excess of the contract price, and for which such contractor was originally the party liable. 1. All laborers, other than contractors or subcontractors. 2. All materialmen including persons furnishing, renting or leasing equipment, materials or fixtures as defined in section 28-12-309, Idaho Code, other than contractors or subcontractors. 5. All professional engineers and licensed surveyors. 1. The liens of all laborers, other than the original contractor and subcontractor, shall first be paid in full, or pro rata if the proceeds be insufficient to pay them in full. 2. The lien of materialmen including persons furnishing, renting or leasing equipment, materials or fixtures as defined in section 28-12-309, Idaho Code, other than the original contractor or subcontractor, shall be paid in full, or pro rata if the proceeds be insufficient to pay them in full. 3. Out of the remainder, if any, the subcontractors shall be paid in full, or pro rata if the remainder be insufficient to pay them in full, and the remainder, if any, shall be paid pro rata to the original contractor and the professional engineers and licensed surveyors; and each claimant shall be entitled to execution for any balance due him after such distribution; such execution to be issued by the clerk of the court upon demand, at the return of the sheriff or other officer making the sale, showing such balance due. Any number of persons claiming liens against the same property may join in the same action, and when separate actions are commenced the court may consolidate them. The court shall also allow as part of the costs the moneys paid for filing and recording the claim, and reasonable attorney’s fees. Whenever materials shall have been furnished for use in the construction, alteration or repair of any buildings, or other improvement, such materials shall not be subject to attachment, execution or other legal process, to enforce any debt due by the purchaser of such materials, except a debt due for the purchase money thereof, so long as, in good faith, the same are being applied to the construction, alteration or repair of such building, mining claim or other improvement. Nothing contained in this chapter shall be construed to impair or affect the right of any person to whom any debt may be due for work done, equipment, materials or fixtures rented or leased or materials furnished, to maintain a personal action to recover such debt against the person liable therefor. Except as otherwise provided in this chapter, the provisions of this code relating to civil actions, new trials and appeals are applicable to, and constitute the rules of practice in, the proceedings mentioned in this chapter: provided, that the district courts shall have jurisdiction of all actions brought under this chapter. The term “labor” as used in this title, shall include the cost of workmen’s compensation and occupational disease compensation security required by the provisions of [sections 72-301 -- 72-304, Idaho Code,] and amendments thereto, payment for which security has not been made. A mechanic’s lien of record upon real property may be released upon the posting of a surety bond in the manner provided in sections 45-519 through 45-524, Idaho Code." NOW, THEREFORE, the undersigned principal and surety do hereby obligate themselves to ........................., (name of claimant) the claimant named in the mechanic’s lien, under the conditions prescribed by sections 45-518 through 45-524, Idaho Code, inclusive, in the sum of $ ....... (1-1/2 x claim), from which sum they will pay the claimant such amount as a court of competent jurisdiction may adjudge to have been secured by his lien, with interest, costs and attorney’s fees. On ..............., ...., before me, the undersigned, a notary public of this county and state, personally appeared ....................... who acknowledged that he executed the foregoing instrument as principal for the purposes therein mentioned and also personally appeared ....................... known (or satisfactorily proved) to me to be the attorney in fact of the corporation that executed the foregoing instrument and known to me to be the person who executed that instrument on behalf of the corporation therein named, and he acknowledged to me that that corporation executed the foregoing instrument. (b) An allegation of the purchase of and payment of the premium for the bond, and the dates of purchase and payment. (c) An allegation incorporating by reference a true copy of the bond, which copy must be attached to the petition. (d) The name or names of the owner or reputed owners of the land subject to the lien. (e) A description of the real property subject to the lien, and the instrument number of the lien as given by the recorder’s office. (f) A prayer for an order releasing the lien. (2) The petitioner shall obtain an order from the district court setting forth the time and date of the hearing on the petition, which time and date must be at least five (5) days after the date of the order and not more than ten (10) days after the date of the order. (3) A copy of the petition and a copy of the order must be served on the lien claimant at least two (2) days before the date set for the hearing and served in the manner provided by law for service of summons. (1) Upon the hearing, the court shall enter its order releasing the mechanic’s lien upon the petitioner’s filing in open court the original bond, and introducing into evidence a receipt for payment of the premium. (2) The entry of the order by the court must refer to the property which is the subject of the lien and the lien itself, by instrument number, and must recite that the lien is released of record for all purposes to the same extent as if released of record by the lienor. (3) Upon entry of the order, the lien is released of record in its entirety and for all purposes and the real property, the subject of the lien, is released from the encumbrances of the lien. (4) There is no appeal from the entry of an order pursuant to the provisions of this section and upon entry the order is final for all purposes. (e) Interest at the rate of seven percent (7%) per annum on the amount found due to the lien claimant and from the date found by the court that the sum was due and payable. (2) Proceedings under subsection (1) of this section are entitled to priority of hearing second only to criminal hearings. The plaintiff in the action may serve upon the adverse party a “demand for thirty (30) day setting” in the proper form, and file the demand with the clerk of the court. Upon filing, the clerk of the court shall, before Friday next, vacate a case or cases as necessary and set the lien claimant’s case for hearing, on a day or days certain, to be heard within thirty (30) days of the filing of the “demand for thirty (30) day setting.” Only one (1) such preferential setting need be given by the court, unless the hearing date is vacated without stipulation of counsel for the plaintiff in writing. If the hearing date is vacated without that stipulation, upon service and filing of a “demand for thirty (30) day setting,” a new preferential setting must be given. (1) By entering into a bond given pursuant to section 45-519, Idaho Code, the surety submits himself to the jurisdiction of the court in which the bond is filed in the proceeding for release of the lien, and the surety irrevocably appoints the clerk of that court as its agent upon whom any papers affecting its liability on the bond may be served. Its liability may be enforced on motion without the necessity of an independent action. The motion and such notice of motion as the court prescribes may be served on the clerk of the court, who shall forthwith mail copies to the surety if his address is known. (2) The motion described in subsection (1) of this section must not be instituted until the lapse of thirty (30) days following the giving of notice of entry of judgment in the action against the lien claimant’s debtor, if no notice of appeal from the judgment is filed, nor may the motion be instituted until the lapse of thirty (30) days following the filing of the remittitur from the court of appeals or the supreme court, if an appeal has been taken from the judgment. (1) The lien claimant may, within two (2) days after the service of a copy of the petition for release of the lien with a copy of the bond attached thereto pursuant to section 45-520, Idaho Code, file with the clerk of the court in the action a notice excepting to the sufficiency of the surety on the bond, and shall, at the same time and together with that notice, file an affidavit setting forth the grounds and basis of the exceptions to the surety, and shall serve a copy of the notice and a copy of the affidavit upon the attorney or the petitioner on the same date as the date of filing of the notice and affidavit. A hearing must be had upon the justification of the surety at the same time as that set for the hearing on the petition for an order to release the lien. (2) If the lien claimant fails to file and serve the notice and affidavit within two (2) days after the service of the petition for release of the lien, he shall be deemed to have waived all objection to the justification and sufficiency of the surety. (1) Legislative intent. This section is intended to protect owners and purchasers of residential real property by requiring that general contractors provide adequate disclosure of potential liens. (d) The homeowner or residential real property purchaser shall have the right to require, at the homeowner’s or residential real property purchaser’s expense, a surety bond in an amount up to the value of the construction project. (3) Subcontractor, materialmen and rental equipment information. (ii) The final payment to the general contractor by a homeowner or residential real property purchaser for construction, alteration, or repair of any improvement of residential real property. (b) All subcontractors, materialmen and rental equipment providers listed in the disclosure statement are authorized to disclose balances owed to the prospective real property purchasers or homeowners and to the agents of such purchasers or homeowners. (c) The general contractor shall not be liable for any error, inaccuracy or omission of any information delivered pursuant to this section if the error, inaccuracy or omission was not within the personal knowledge of the general contractor. (4) Failure to disclose. Failure to provide complete disclosures as required by this section to the homeowner or prospective residential real property purchaser shall constitute an unlawful and deceptive act or practice in trade or commerce under the provisions of the Idaho consumer protection act, chapter 6, title 48, Idaho Code. (ii) A prospective residential real property purchaser for the purchase and sale of newly constructed property. The term “general contractor” does not include subcontractors, materialmen or rental equipment providers who do not have a direct contractual relationship with the homeowner or residential real property purchaser. (b) “Residential real property” shall include owner and nonowner occupied real property consisting of not less than one (1) nor more than four (4) dwelling units. (6) This section shall not apply to instances in which a homeowner or the agent of the homeowner initiates the contact with the general contractor for purposes of providing repairs necessary to meet a bona fide emergency of the homeowner or to make necessary repairs to an electrical, plumbing or water system of the homeowner.